“The Pharmaceutical Industry is in the business of disease maintenance & symptom management. They are not in the business to cure Cancer, to cure Alzheimer’s, to cure heart disease, because if they were they would be in the business of putting themselves out of business; and that in fact doesn’t make sense. The Pharmaceutical Industry makes 5-6 times the amount of money of any of the other Fortune 500 companies in the United States of America. They are not going to easily or readily give up that income. The Pharmaceutical Industry doesn’t want to cure people. You need to understand specifically when we’re talking about psychiatric drugs, in particular, that these are drugs that encourage people to remain customers of the Pharmaceutical Industry. in fact you will be told, if you’re given a drug such as an anxiolytic, or antidepressant or an anti-psychotic drug that you may be on the drug for the rest of your life. And very frequently people find that they are on the drugs for a very long time, if not permanently, because they’re almost impossible to get off of. Some of them can have very serious withdrawal symptoms. Most of them can have very serious withdrawal symptoms if they’re stopped cold turkey. But some people even experience sever withdrawal symptoms when they try to titrate or they try to eliminate the drug little by little day after day. So it’s really important to understand the motivation behind all of the current maintenance drugs that are on the market; even drugs such as Cholesterol lowering Drugs; which lower cholesterol excessively while causing other disease states as a consequence. You’re never going to have anyone come to you and tell you that the drugs are always tried against a placebo (sugar pill) in clinical trials. In fact many drugs are found not to be more efficacious than the sugar pill. a. Analytical type: Approach him with a research study. People who like numbers, so provide them with that type of information. b. Amiable type : You can get them to do almost anything that you want them to do because they’re people pleasers who want to make you happy. You can lean on these people as opinion leaders if you want them to promote drugs ‘off label’ for you with other practices, or with other physicians. (1) The production of a stimulant continuum that often begins with lesser degrees of insomnia, nervousness, anxiety, hyperactivity & irritability, then progresses toward more severe agitation, aggression, varying degrees of mania. Mania or manic-like symptoms include disinhibition, grandiosity, sleep disturbances, and out-of-control aggressive behavior, including cycling into depression & suicidality. (2) The production of a combined state of stimulation and depression – an agitated depression – with a high risk of suicide and violence. Often the overall depression is markedly worsened. (3) The production of obsessive preoccupations with aggression against self or others, often accompanied by a worsening of any pre-existing depression. (4) The production of akathisia, an inner agitation or jitteriness that is usually (but not always) accompanied by an inability to stop moving. It is sometimes described as psychomotor agitation or restless leg syndrome. The state causes heightened irritability and frustration with aggression against self or others, and often a generally worsening of the mental condition. ‘Akathisia is a drug-induced inner agitation or dysphoria that causes a person to feel compelled to move about. The painful feelings associated with akathisia have been compared to torture and often make people feel as if they are going “crazy.” People who suffer from akathisia often voice dramatic descriptions such as “electricity streaming through my veins,” “horrible jagged feelings inside my head” or “something pinching my nerves all over my body.” These vivid, desperate descriptions can be mistaken for delusions or hallucinations (American Psychiatric Assoc, 1994, 2000; Breggin, 1997). When the FDA initially approved Paxil in December 29, 1992, it had already been reported that SSRI antidepressants tend to induce extremely high rates of akathisia. For example, Lipinski, Mallaya, Zimmerman, and Pope (1992) described five cases and, based on a review of the literature, they estimated that Prozac (fluoxetine) causes akathisia in 9.7%-25% of patients. Since the 1970s, studies of neuroleptic-induced akathisia have demonstrated that akathisia causes severe emotional disturbances, including aggression, suicidality, and a worsening of psychosis (van Putten, 1975; van Putten & Marder, 1987; Breggin, 1983, 1997). In the early 1990s, clinical reports began to link Prozac-induced akathisia to severe, acute, and obsessive suicidality (e.g., Rothschild & Locke, 1991; Teicher, Glod, & Gole, 1990). Because it was already known that SSRI-induced akathisia causes suicidality, violence, and overall mental deterioration, it was beholden on GSK to conduct a careful analysis special Report Part U 93 of Paxil-induced akathisia. It was also beholden on the company to look for a link between Paxil-induced akathisia and mental or behavioral abnormalities. Instead, GSK went to extreme lengths to hide the fact that Paxil causes akathisia & that the some Paxil akathisia cases were associated with suicidality. SSRI antidepressants can cause suicidality and violence through means other than akathisia, including drug-induced agitation, depression, and mania. Patients who were previously depressed can be pushed into states of agitated depression or manic-like reactions (Breggin, 2003). The stimulating effects of SSRIs, from akathisia and agitation to mania, are responsible for causing some of the most severe mental and behavioral aberrations. ‘The following excerpts from my product liability report dated July 21, 2001, focus on akathisia. In addition to examining how GSK manipulated or suppressed data concerning akathisia, these findings confirm a link between Paxil-induced akathisia and suicidality. The data also confirm that these severe reactions can occur beginning with the first dose of the drug and that they often occur within the first few days of the initial exposure. My product liability report can be found in its entirety on my website, www.breggin.com. 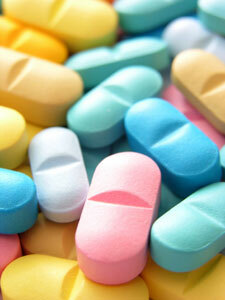 It covers numerous additional concerns about how GSK researched, developed, and marketed Paxil. ‘GlaxoSmithKline Plc, the U.K.’s largest drugmaker, will pay $750 million to settle a U.S. whistleblower lawsuit over the sale of defective drugs. Glaxo was accused in court papers of selling tainted drugs under false pretenses. The medicines, made at a Glaxo plant in Cidra, Puerto Rico, were misidentified as a result of product mix-ups, according to papers filed in federal court in Boston. 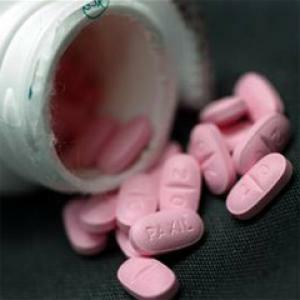 The affected drugs included the antidepressant Paxil CR and the diabetes treatment Avandamet. [Note that this is a combination drug that includes Avandia – ed]. ‘The FDA, especially in the area of antidepressants, has long been seen by much of the scientific community as compromised by drug company influence and it is decreasingly recognized as a serious regulatory agency. In a 1991 FDA “blue ribbon” panel investigating the association between Prozac-type antidepressants & violence, five of the nine FDA panel doctors had ties to pharmaceutical corporations. The panel voted not to require these antidepressants to display a violence warning label. 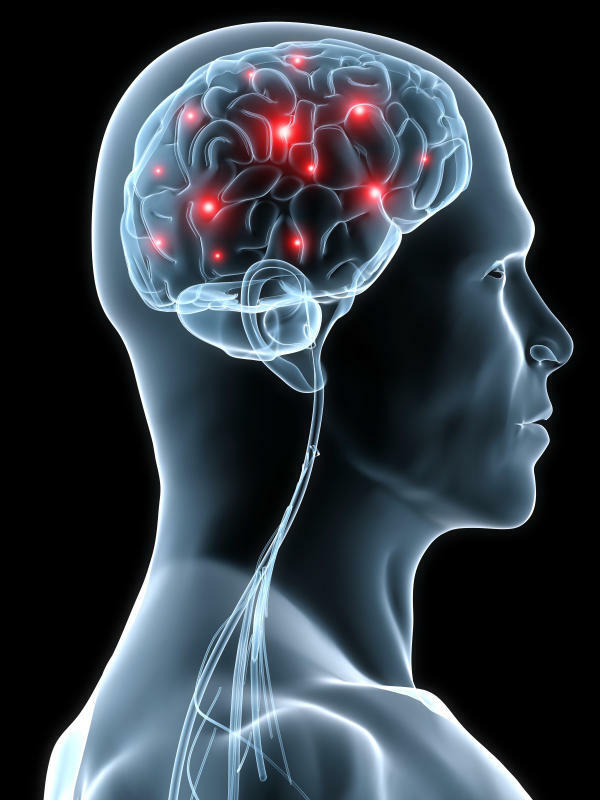 This was aided by Paul Leber, director of the FDA’s Division of Neuropharma- cological Drug Products, who in the late 1990s left the FDA to direct a consulting firm that specializes in advising pharmaceutical companies that are attempting to gain FDA approval for new psychiatric drugs. I (Dr. Peter Breggin) recently published analyses of previously sealed GSK data on Paxil suicide in the peer-reviewed journal Ethical Human Psychology and Psychiatry. I combed the data out of GSK files during a several-day investigation of the company’s Paxil records. My original medical-legal report recently became unsealed and provided the basis for the published reports. The sealed Prozac data from Eli Lilly also came from my investigations of the company as a medical expert in product liability suits. BMJ (The British Medical Journal) recently obtained the sealed documents from an anonymous source and released them to the FDA and the U.S. Congress. The documents are contained in four Lilly PDFs that can be downloaded from my professional website [www.breggin.com]. The data used to evaluate antidepressant-induced suicidality in adults is not reliable. This is a fact the FDA has yet to face. The data has been pruned, culled and manipulated by the drug companies before being tabulated and released. The FDA must send investigators into the original drug company files to search and analyze the primary sources of data, much as I have done as a medical expert in product liability suits against drug companies. I will be happy to share my knowledge with FDA officials on how to conduct these searches and analyses. Kirsch, I. and Sapirstein, G. (1998). Listening to Prozac but hearing placebo: A meta-analysis of antidepressant medication. Prevention & Treatment, 1, Article 0002a, 16 pages, posted June 26, 1998. www.journals.apa.org. Breggin, P. (2006a). Court filing makes public my previously suppressed analysis of Paxil’s effects. Ethical Human Psychology and Psychiatry, 8, 77-84, 2006. Available on www.breggin.com. Breggin, P. (2006b). How GlaxoSmithKline suppressed data on Paxil-induced akathisia: Implications for suicide and violence. Ethical Human Psychology and Psychiatry, 8, 91-100. Breggin, P. (2006c) Drug company suppressed data on paroxetine-induced stimulation: Implications for violence and suicide. Ethical Human Psychology and Psychiatry, 8, 255-263.